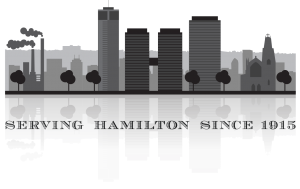 Nolan, Ciarlo LLP has a well-earned reputation as one of Hamilton's premier personal injury law firms. We understand that personal injuries can be devastating for victims and their families - whether they result from car crashes or other accidents, falls or defective products. The last thing injured people need is more distress because an insurance company is giving them the runaround, or because they are worried about whether their rights are being properly protected. Our clients know that when we take on their case, the only thing they need to focus on is recovering their health, while we look after recovering their losses. Our expertise in both personal injury law and insurance litigation powerfully equips us to fight for all of their rights when they get hurt. Dermot Nolan has been standing up for injured people for over 40 years. He is a founder and past president of the Ontario Trial Lawyers’ Association (OTLA) - and the founder and first editor of its prestigious journal, The Litigator. He is certified by the Law Society of Upper Canada as a specialist in Civil Litigation and is also a past president of the Hamilton Law Association and the Hamilton Medical Legal Society. He has been selected by his peers for inclusion in the Best Lawyers in Canada directory in the field of Personal Injury Litigation and as the 2018 recipient of the Hamilton Law Association’s Ed Orzel award for excellence in trial advocacy. Franco Ciarlo has been working on behalf of innocent accident victims for over 20 years in all types of personal injury cases. He has successfully argued cases at both trial and appellate level courts and has conducted numerous settlement mediation conferences. Franco focuses on making his clients as comfortable as possible as together they navigate the litigation system to get a just result. Mark Daly has hands-on experience with personal injury matters and has seen files through the court system from start to finish. Mark’s clients appreciate his friendly and knowledgeable personality and benefit from his unwavering commitment to their best interest.